Tom is a talented young player with ability to pick out long range passes and chips – and a couple of goals a season as well. I like him and can see high potential. 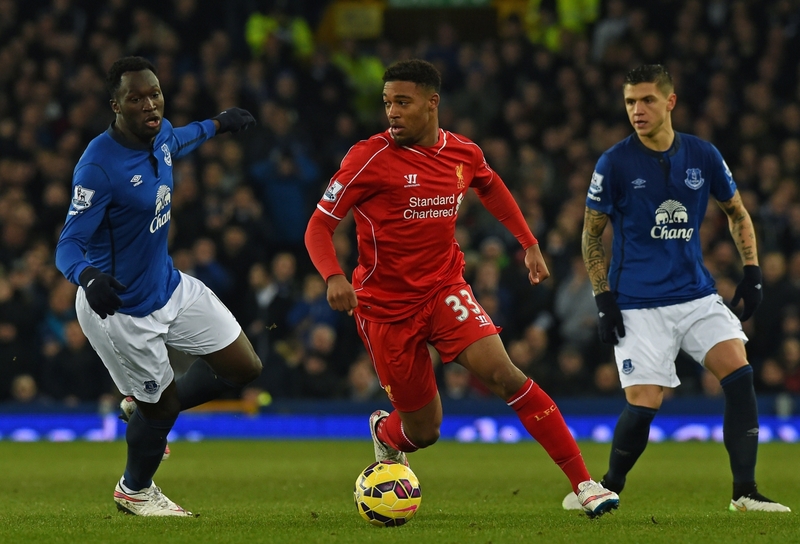 Jordan Ibe is probably my favorite young player at the moment. He is on great form and has been included in the Liverpool line-up this season. Jacob Murphy is not one of the most well known of the players I am talking about, but he is a talent with pace, agility and a good shot. As an England nation we are running out of new, young and exciting players to carry the squad. But where do we find them? Here are lists of young players hoping to break into the national squad and make a difference on the pitch. Make sure to check out part two later! Patrick Roberts (age 18) Position: striker/right winger Current team: Fulham Club number: 14 Plays like: James Rodriguez England career: 2012-13 England u16 2013-14 England u17 2014- England u19 This young lad is an exciting prospect to look at, he is finally revealing he real potential. Ravel Morrison (age 22) Position: central midfielder Current team: Lazio (on loan) Club Number: 49 Plays like: Juan Mata England career: 2008 England u16 2009 England u17 2010 England u18 2013- England u21 Ravel is a great player who has great footwork on the ball. I feel bad for him with moving clubs it has not worked out. Hopefully he will back and running next season. Joshua Murphy (age 20) Position: forward Current team: Norwich Club Number: 21 Plays like: Raheem Sterling England career: 2012 England u18 2012-14 England u19 2014- England u20 He is an interesting player to watch, his work rates are good and he has a great change of pace. He is one of my favorite players in the championship. Jordan Pickford (age 21) Position: goalkeeper Current team: Bradford (on loan) Club number: 13 Plays like: Joe Hart England career: 2009-10 England u16 2010-11 England u17 2010-12 England u18 2012-13 England u19 2015- England u20 Great keeper with good flexibility and a good, strong kick. He will impress next season with Sunderland. Who’s coming up to the Premier League? This year’s Championship promotion challengers are all tough and would put in a good fight in the Premiere League. Only 3 teams can get promoted and I think this is how the table will finish – Watford and Bournemouth getting automatic promotion and Norwich coming up in the Play-off finals. 1.) Watford, because they are on red-hot form right now, with great strikers! 2.) Bournemouth, their manager really knows his stuff. 3.) Norwich, they were in the Premier League just a couple of seasons ago. All these teams are capable to get promotion and then stay up the next season. All they need to do is buy some Premier League experienced players, or some young new prospects who are a talent. Watford have a good squad all round but need to focus on bolstering their midfield and defense, to a Premier League standard. They have been contenders throughout the last 3 seasons but losing in the play-offs. This is going to be their year to be promoted. Bournemouth as some would maybe say they are going good, and enjoying their Championship days. If they are going to survive in the Premier League they need to look at their goalkeeper and defense. If you want to stay up you need to keep some clean sheets. They have the smallest capacity stadium out of the three teams, so will need to look at upgrading that with the money provided as soon as possible. Norwich are the most experienced team here, they were a great side a couple of years ago but since dropping from the Premier League, their confidence has dropped. But with young talent Nathan Redmond from Birmingham in brilliant form this season they look like they’re heading up. I am blogging about the semi-finals of the Champions League. Barcelona: I really do feel that Barcelona have had a hard Champions League group this year with teams like PSG and Ajax to get to these nerve-racking semi-finals must have been hard. They are a talented squad with experienced players. With younger players coming through the ranks at the youth squad they will continue to have a good squad for a while, although their manager and chairman do not give me confidence. In this years semi-finals they have been drawn to Bayern Munich. This will be a tough game, it could go either way. Real Madrid: This Real Madrid team is probably the most exciting team in Europe at the moment, with great players who are known all over the world and a world record breaking transfer you would bet on them winning it for a second successive year running. The manager is a great manager who is keeping the squad looking as cool as ice as they play ticky-taka football. They are drawn to Juventus this year who are undoubtably the surprise package of this years semi-finals, with Real Madrid narrowly beating Schalke in the last round it could go either way. Will Real Madrid crumble under pressure and lose their crowns? Bayern Munich: With Bayern Munich progressing to 2 finals in 3 years the odds are in their hands they have a very strong squad and a lot of money. They are drawn to Barcelona. This will be a tense and emotional night for Pepe Guardiola Bayern’s manager as it is the first time he has ever returned to his former, beloved Barcelona. Their chairman is a smart man and so are the squad they could most likely pull off a win but it will be close. Not to mention they have 5 players in their starting 11 line up who won the 2014 World Cup. Juventus: It is an exciting moment for the squad of Juve now because this is their first Champions League semi-final in 12 years, they have a flowing style of play that tends to work on teams outside of their league. They are drawn to Real Madrid which will be a challenge but I never under estimate the underdogs in European competitions, crazy things happen at this stage. Juventus have a slick squad full of well known names and all of them can certainly play football. I would love to see Juve in the finals as I have always liked them but I never knew they had this much firepower in them. I have just one question before you finish reading this blog and that question is: Who do you think will progress to the finals and win the Uefa Champions League? I am blogging about Steven Gerrard, current Liverpool captain but on his way to LA Galaxy in July. He is an inspiring legend who’s legacy will carry on at the club. He is a good captain and is one of the best free kick takers in the Premiere League at the moment. I would say that his most memorable game was the 2005 Champions Cup final, where Liverpool went 3-0 down at half-time and pulled it back level then went on to win the game in penalty kicks. With Steven netting the beginning of a great comeback his career continued from there. He is a team leader. He helps Liverpool control possession in the midfield area. He will lead the squad to more trophies. He can leave as a legend. If I could meet Gerrard what would i ask him?